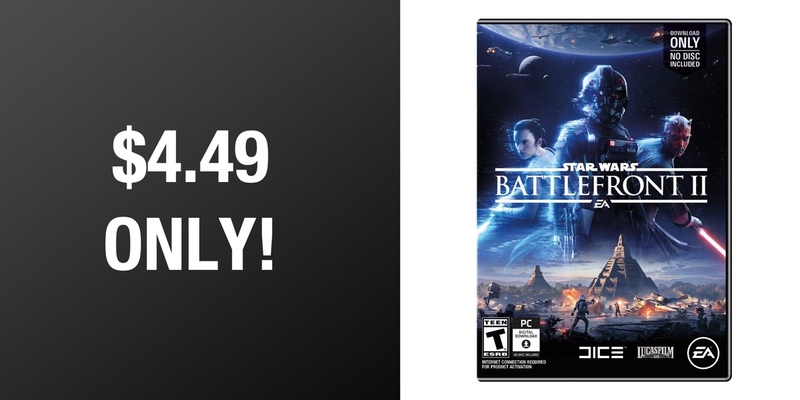 If you’re a fan of the Star Wars universe and want to get your Force on, how about picking up Star Wars Battlefront II for less than five dollars? You’d normally be expected to hand over up to $60 to get your hands on such a game, but right now Amazon has the PC version, available as a digital code, for just $4.49. That sounds like a deal that’s almost too good to be true, but we promise, it’s real. 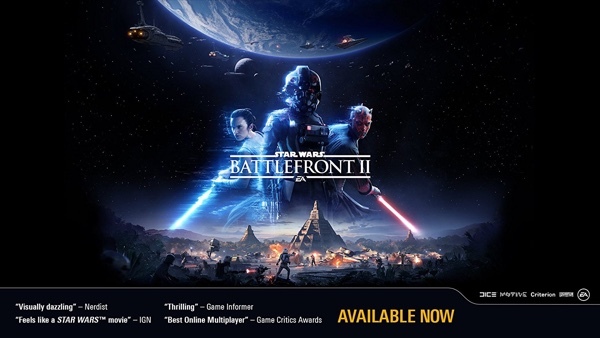 The Star Wars Battlefront II release was hotly anticipated and it’s been largely well received since its arrival. If you’ve been on the fence about picking it up at full price, there’s absolutely no reason to hold of making a purchase at this almost unbelievable price instead. You’ll be able to fight throughout the galaxy as one of many, many characters from the iconic Star Wars franchise. There are plenty of DLC packs to extend the adventure if you feel the need, so saving some money on the full game is a great way of picking the DLC up without having to spend a small fortune.